This post was written by Petite Planet pet correspondent, Tracie Berger. With the recent addition of an actual “retriever” to our pack 6 months ago, we’ve been on a constant search for new balls and toys to keep our little Lab girl happily fetching. I'm so glad we came across the Planet Dog Wood Chuck, an innovative ball-tossing device that’s not only comfortable and fun to use, but eco-friendly as well. Since 1997, Planet Dog has been known as the industry's leading socially responsible, values-based design house, bringing people and dogs together for fun and mutual support. Planet Dog’s mission is to “amuse, explore, support, innovate, create, educate, celebrate and philanthropate... all in the name of the dog.” They "romp the romp" by providing financial resources to those in need, by educating consumers about canine-related issues, and by creating an array of non-toxic and recyclable products. The Wood Chuck's bamboo core makes this device strong yet pliable, and the recycled cork handle provides a soft, comfortable grip for repeated throws. 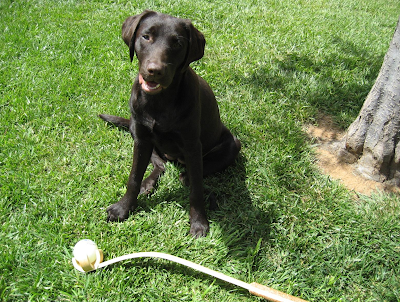 The 4-pronged claw at the head of the Wood Chuck is the perfect size to “grab” one of Planet Dog’s Orbee-Tuff balls. We opted for the Glow for Good Ball, since our games last well into the evening and it glows in the dark! 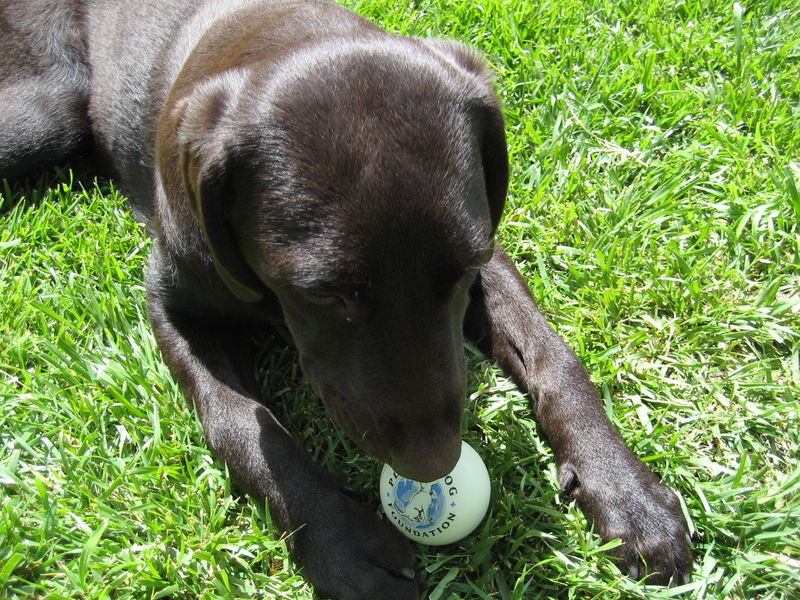 The Glow for Good Ball is just about the bounciest ball we’ve ever used, and it holds up to little puppy mouths like Kira’s, who likes to take chew breaks in the middle of games. All of Planet Dog’s 2.5” Orbee-Tuff balls can be used with the Wood Chuck, just look for the Wood Chuck friendly toy icon to ensure a perfect fit. 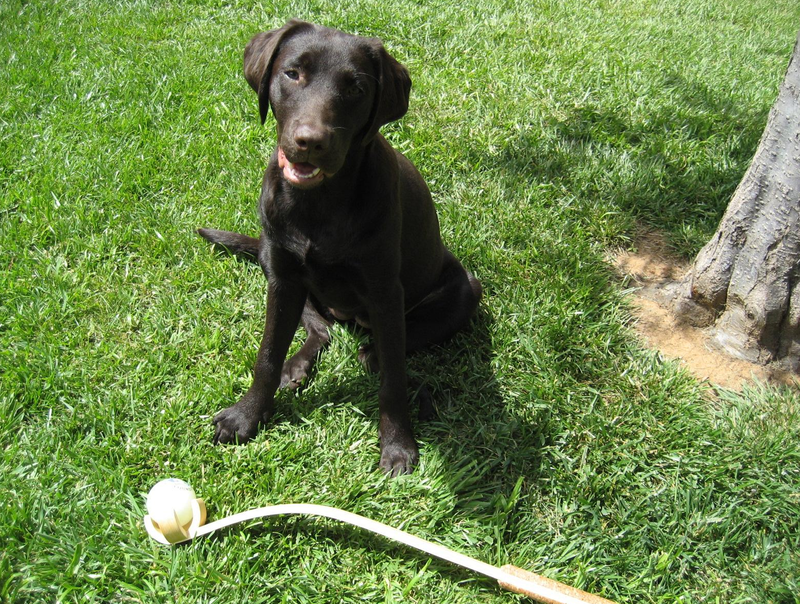 Check out all of Planet Dog’s toys and Orbee-Tuff products at www.planetdog.com. Your pack will love them! 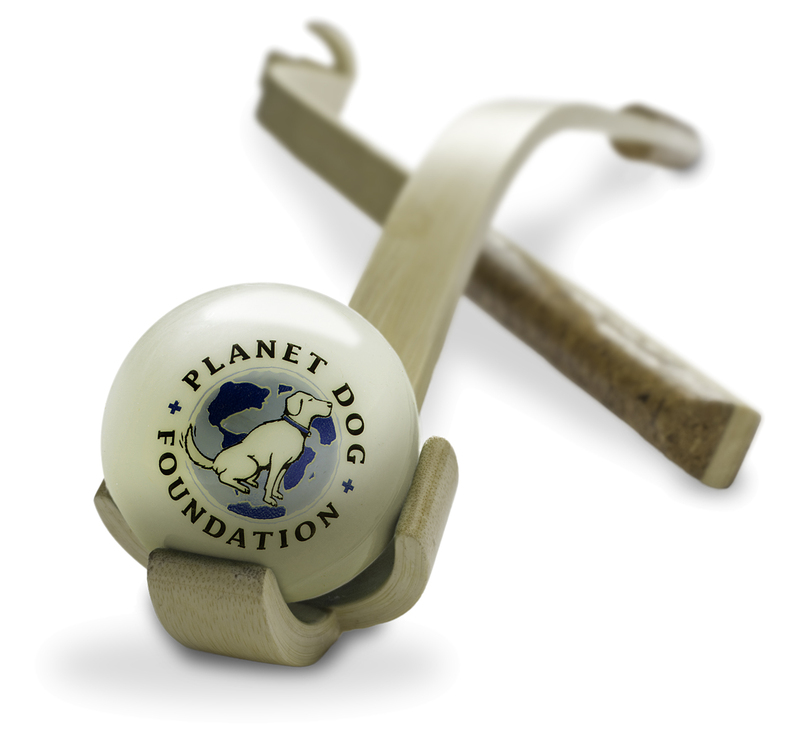 Planet Dog's products are socially responsible too since they donate 2% of every purchase to the Planet Dog Foundation (PDF), their non-profit grantmaking organization. PDF supports canine service programs across the country that train, place and support dogs who are helping people in need.